IN spite of a ban, illegal ivory trading is still flourishing in the European Union, as traders use a loophole allowing for the exchange of very old pieces, an Oxford University study sponsored by a campaign group found. European law allows ivory obtained prior to 1947 to be traded freely. Ivory obtained after 1947 but before 1990 can be sold with a government certificate, while selling ivory obtained after the global ivory trade was banned is illegal. Campaign organization Avaaz purchased more than 100 pieces of ivory from 10 different EU countries to undergo carbon testing at Oxford University. Scientists concluded 75 percent of the ivory was from after 1947 and 20 percent was ivory that had been obtained since 1989. Many traders use the provision which allows the free trade of old ivory to illegally trade newer ivory, fuelling the market and incentivizing the killing of elephants, Avaaz said. 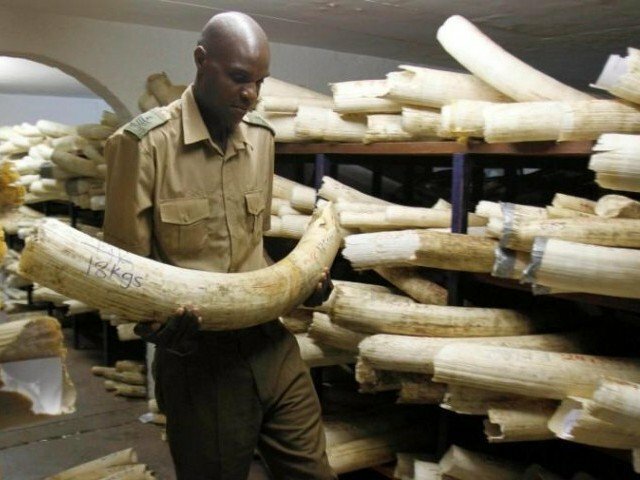 While the European Union banned the export of raw ivory in 2017, domestic trading, which is banned in the United States, China and Hong Kong, is still allowed in the EU. Last month, the European Parliament called for a complete ban on domestic ivory trading. “Illegally poached ivory often gets into the legal market, making the elephants a lucrative target for poachers,” Parliament said in a statement. The European Commission said that addressing poaching and ivory trafficking was a cornerstone of an EU action plan against wildlife trafficking and that the Commission was now discussing the next steps.